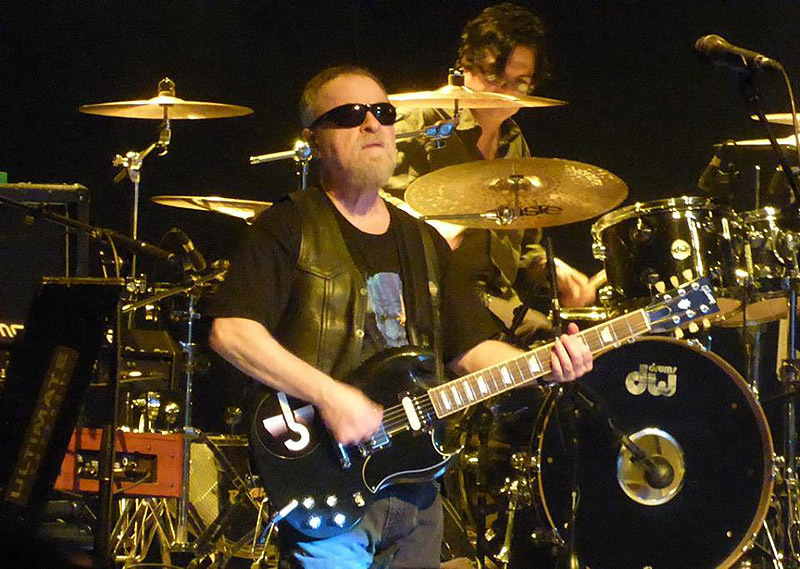 Share the post "Gig review: BLUE OYSTER CULT – Kentish Town Forum, London, 29 July 2016"
This was a bit of a special event as not only was this the first sighting of Blue Oyster Cult outside of a holiday camp in the UK for a few years, but this gig marked the return of drummer Albert Bouchard last seen way back in 1981. If that wasn’t enough the band were playing their entire ‘Agents Of Fortune’ album from 1976, although as one fan outside commented whilst waiting to get into the venue it is possibly not their strongest album but – hey – it fits the 40th anniversary tag nicely. 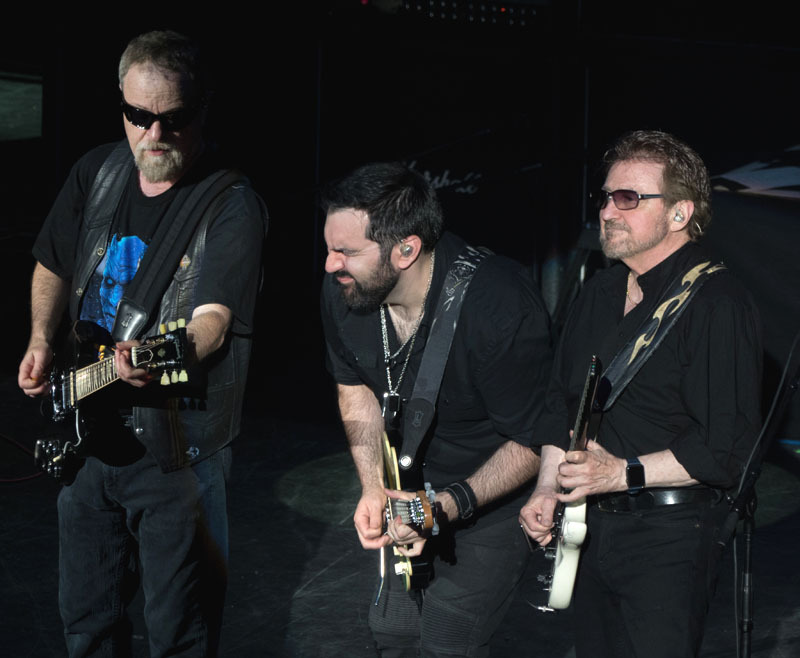 Joining the BOC mainstays of Eric Bloom and Buck Dharma were drummer Jules Radino and on guitars/keyboards vocals Richie Castellano, both of whom have been in the band since 2004 and on bass relative new comer Kasim Sulton (Meat Loaf/Utopia/The New Cars) who has been in the band since 2012. Kicking off the set with ‘This Ain’t The Summer of Love’ swiftly followed by ‘True Confessions’ you just knew this was going to be a special night of music. This is further reinforced as they were playing the ‘Agents Of Fortune’ album in order so had to wheel out their signature tune ‘(Don’t Fear) The Reaper’ next and you never tire of hearing this song nor the guitar soloing of Buck Dharma, surely one of the most underrated guitar greats around. Eric Bloom was in much better form tonight than the last time I saw them at the Astoria where then he seem disinterested. No chance of that tonight and he seemed genuinely touched and amazed at the audience’s reaction to the night’s music. 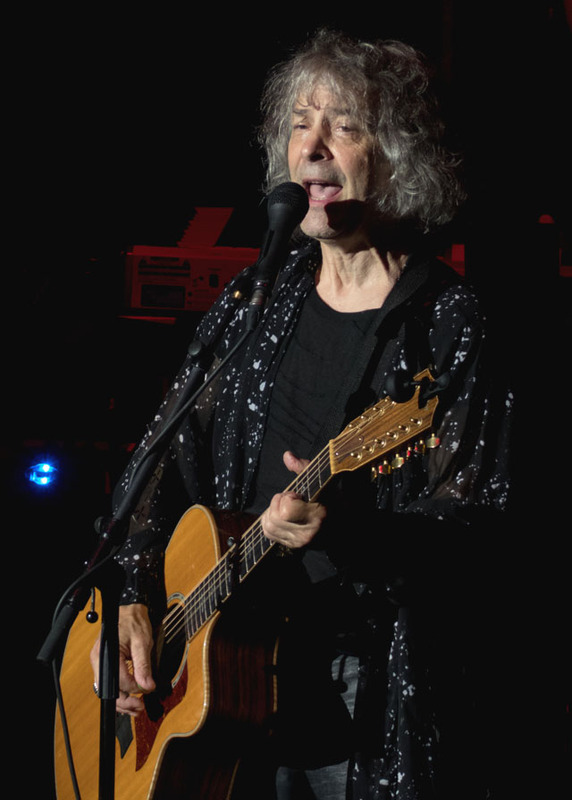 The night’s special guest Albert Bouchard joined the band on stage for ‘The Revenge of Vera Gemini’ on which he sang and the next song ‘Sinful Love’. Although looking a little like Worzel Gummidge he was so thrilled and enthusiastic to be back on the stage with the band. He was a real livewire, be it singing, guitar playing, or bashing away on a cymbal on Jules Radino’s drum kit. I must admit the second side of the ‘Agents Of Fortune’ album does drop slightly in parts like ‘Morning Final’, although it sounded good tonight and Richie Castellano sang lead on this one. ‘Debbie Denise’ closed the first half of the set and the band and audience had a short break to recharge the old batteries. Tonight’s gig must have been one of the few times the men’s loo queue out-did the ladies as men of a certain age made up most of the audience. The second set was a real treat as we had the usual BOC classics of ‘Dominance And Submission’ and then some real treats like a rip-roaring run through ‘Lips In Hills’ (a ‘love song’ as Eric Bloom introduced it!) and ‘Harvest Moon’ from their ‘Heaven Forbid’ album. 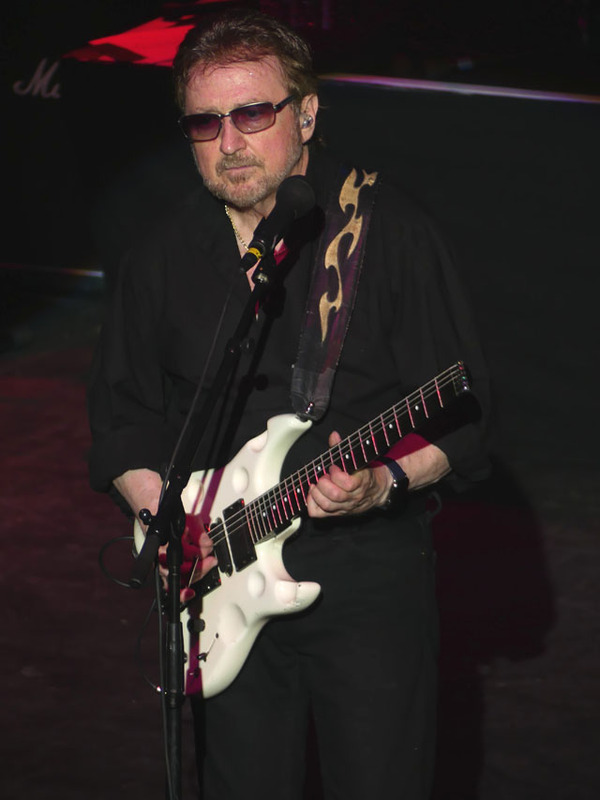 For me hearing ‘The Golden Age Of Leather’ was a real treat and again Buck Dharma’s soloing was precise and simply wonderful. ‘Burnin’ For You’ was simply divine. The band were in fine form on this song and throughout the whole evening. The crowd kept calling out for one song in particular and when ‘Godzilla’ started the reaction was bigger than the monster itself. Kasim Sulton was impressive with the stomping bass line and along with Richie Castellano, has added a real vigor to the band as both were bounding around the stage and pouring lots of emotion into their playing. Richie Castellano really came into his own as he started the guitar to ‘Then Came the Last Days of May’, with a heartfelt guitar playing he was wringing every drop of emotion out of his six-string. ‘ME 262/5 Guitars’ had the guitar barrage of Bloom/ Dharma/ Bouchard/ Castellano/ Sulton in full flight and pretty damn fine to see. ‘Born To Be Wild’ closed the set with Albert Bouchard on a second drum kit in front of the main one and we had confetti canons to end the main set. What a finale and an amazing performance by the band. Trains meant I missed the encores and ‘In Thee’ one of my all time favourite BOC songs, however having seen this gig tonight it is one that ranks as one of the best I have seen. The band were on top form, we had the added bonus of Albert Bouchard and a strong setlist with some deep album cuts. Good to see a sold out show at a decent venue and here’s hoping they will be back soon. Blue Oyster Cult have still got plenty to givebased on tonight’s performance. 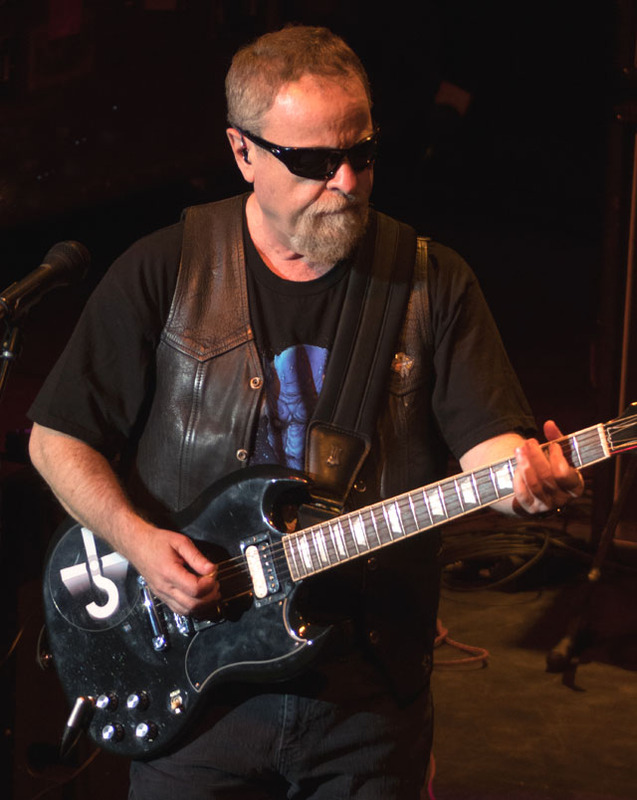 This entry was posted in All Posts, GIG REVIEWS and tagged 29 July 2016, Agents Of Fortune, Albert Bouchard, Blue Oyster Cult, Buck Dharma, classic, Eric Bloom, gig, heavy metal, heavy rock, Kentish Town Forum, London, review, rock. Bookmark the permalink.